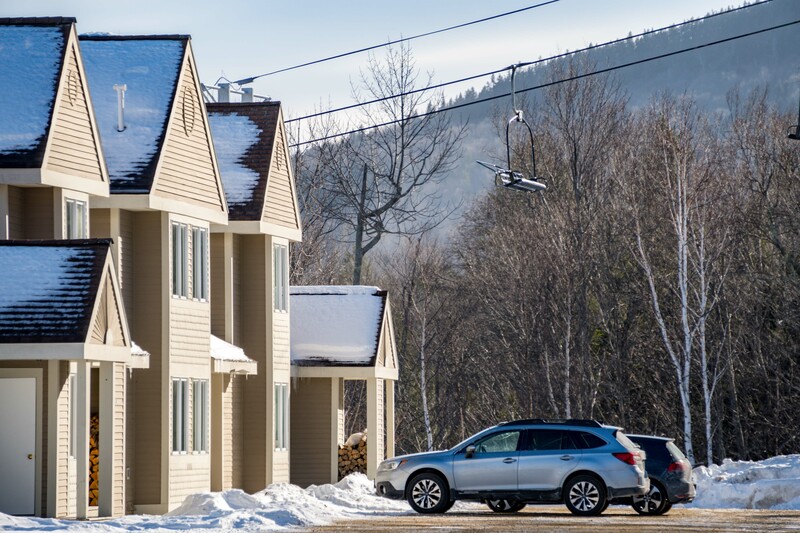 Locke Mountain is where the first trails at the resort were cut and from just outside your door, you now have access to some of the most fun terrain at the resort, from easy cruisers to steeps and bumps, with access to Wildfire, Road Runner and Tempest trails. 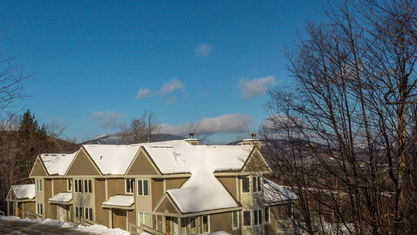 These luxury townhomes were built between 1988 and 1998 and feature spacious 3 and 4 bedroom tri-level townhomes. 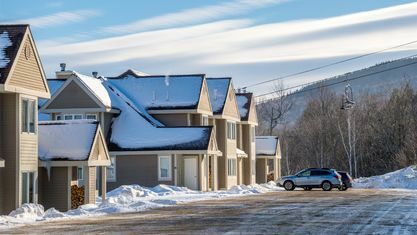 Square footage ranges between 1688 to approximately 2500 square feet depending on whether the townhouse is an interior or and end unit and how the lower level was finished. 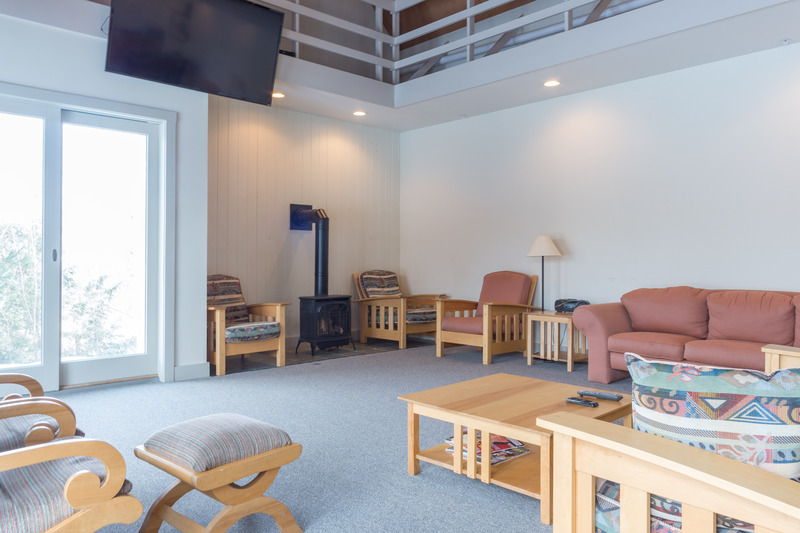 The layout is designed for today’s lifestyle with the main floor offering an ample, open kitchen, a dining area, and an open living area with either a wood burning or gas fireplace. 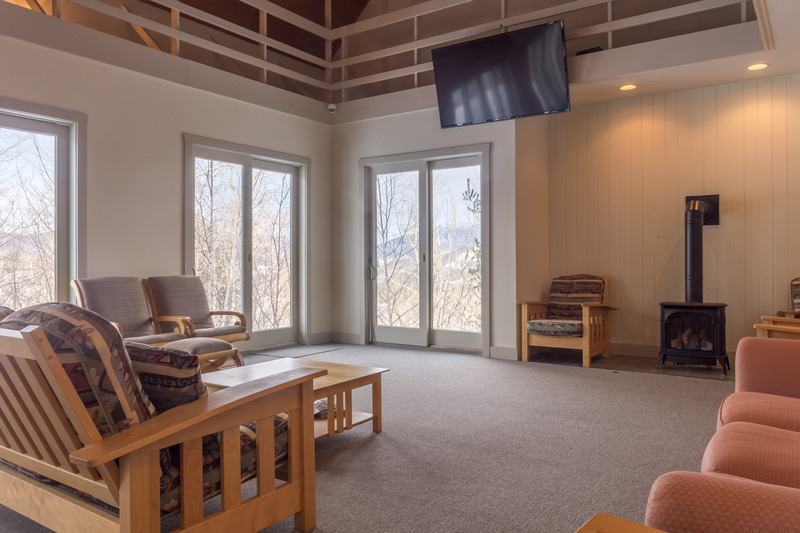 Also on the first floor is a mudroom entry, a ski storage locker and access to a private deck to take in the beautiful panoramic views. 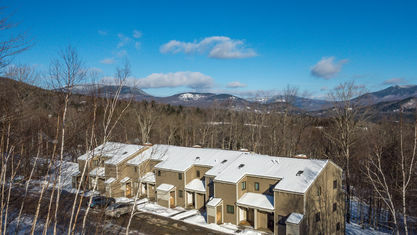 End units feature a guest bedroom and full bath on the first floor whereas the interior units have a half bath. 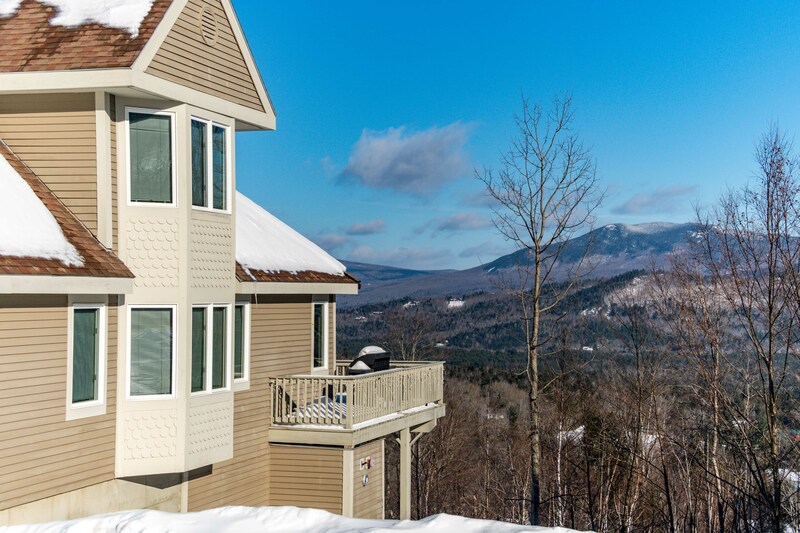 The second floor features a master bedroom with an en-suite bath and up to 2 additional bedrooms and a full bath. 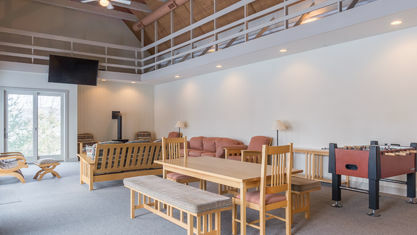 The end units also feature a second floor open loft area. 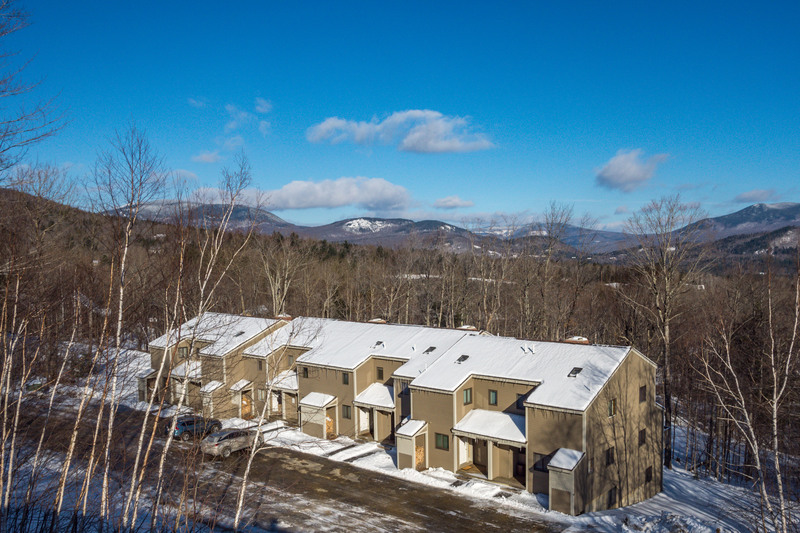 The floor plans of the lower levels can vary but all include a family room, full bath, laundry room and walk out access to the outdoors with some having an additional bedroom. 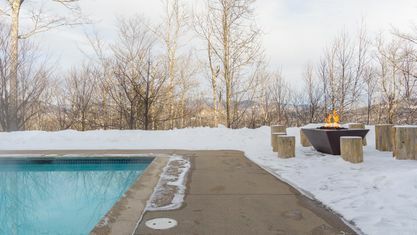 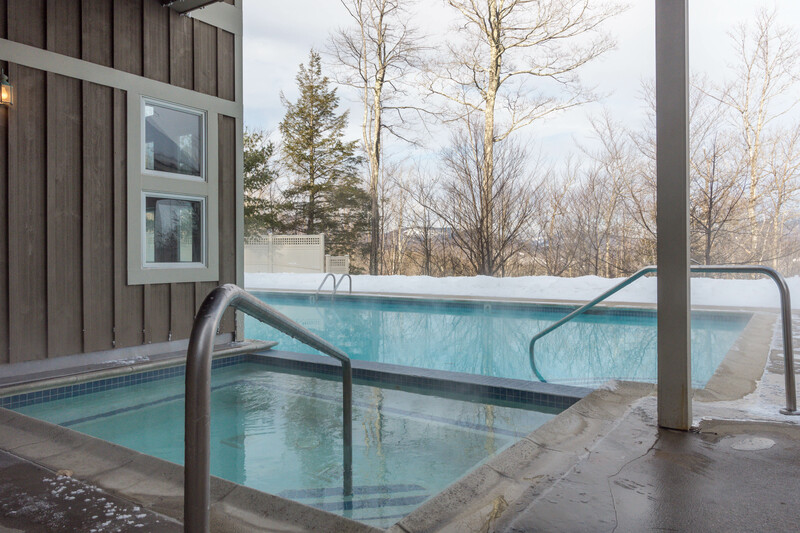 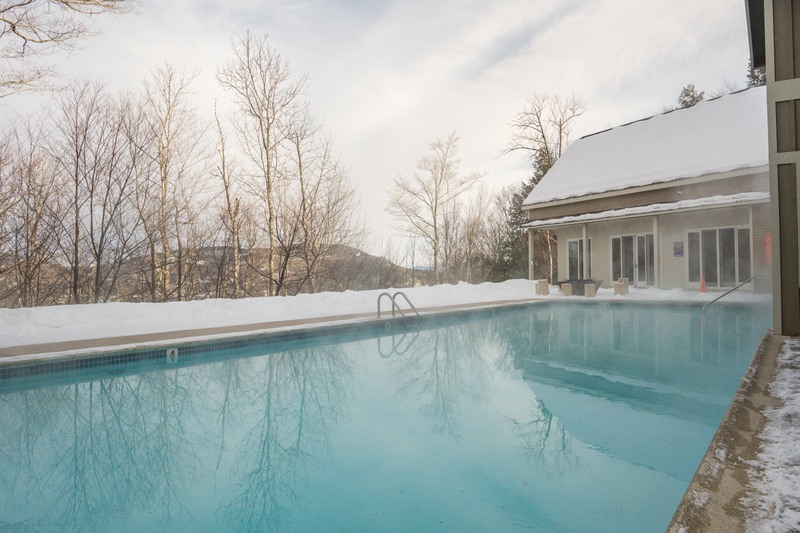 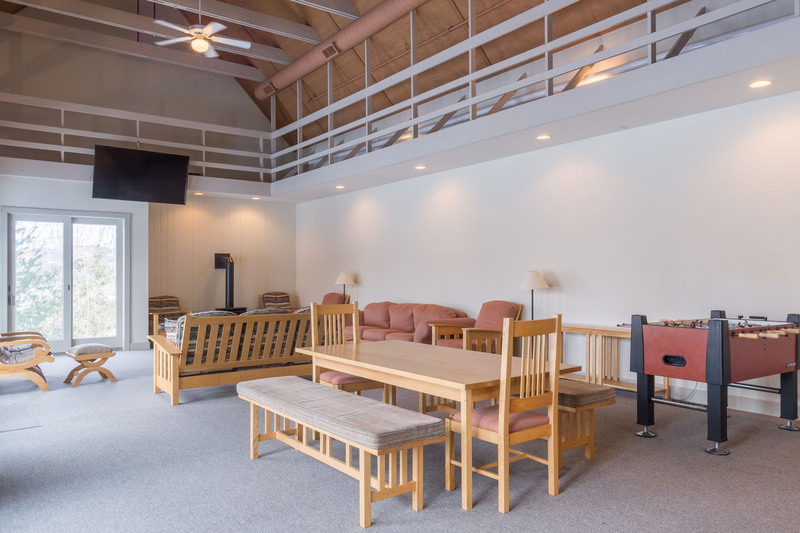 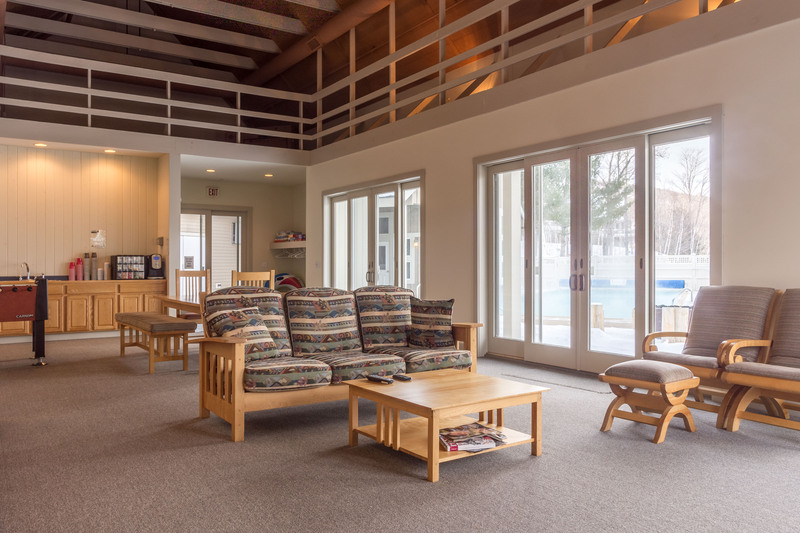 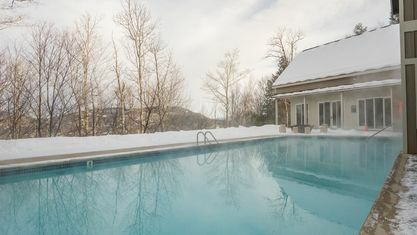 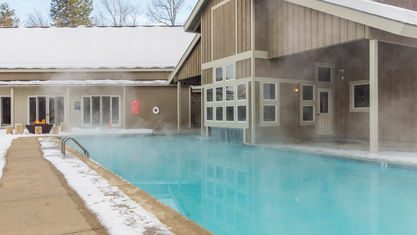 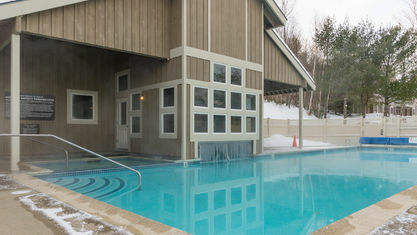 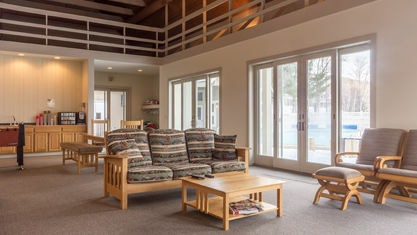 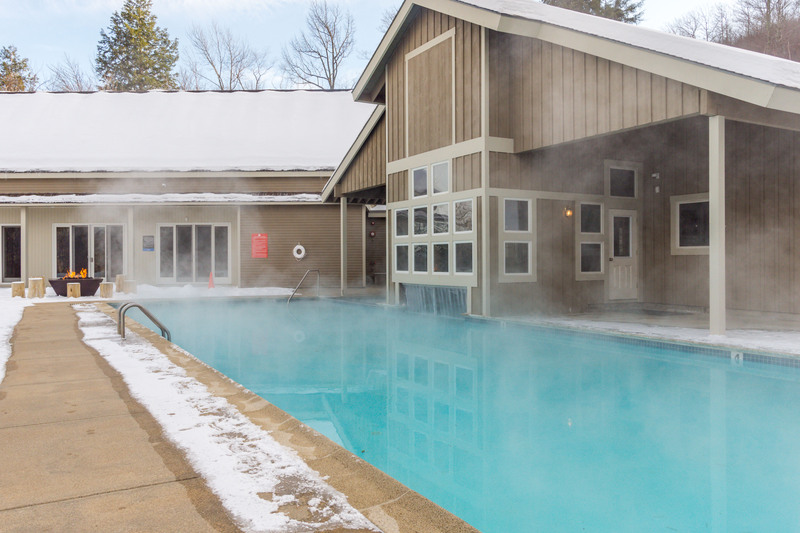 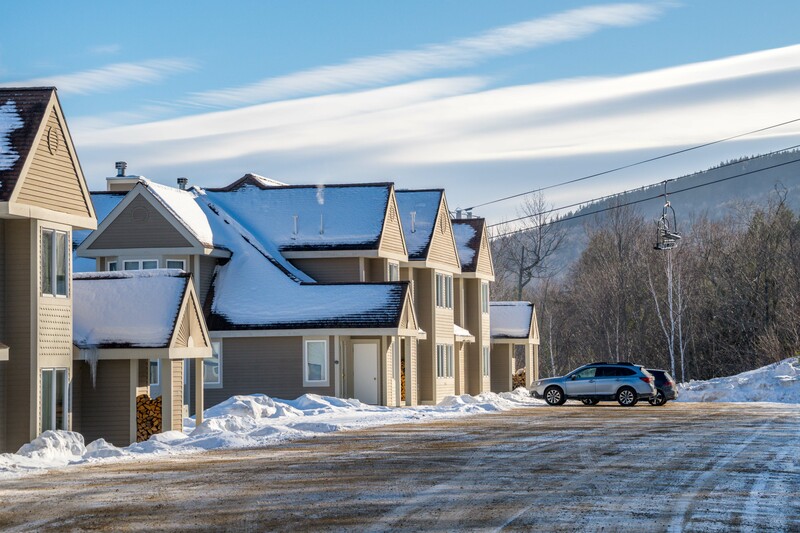 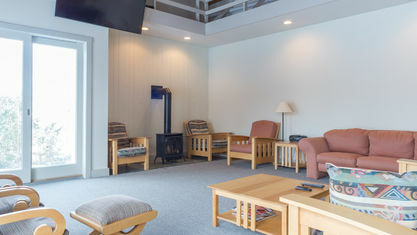 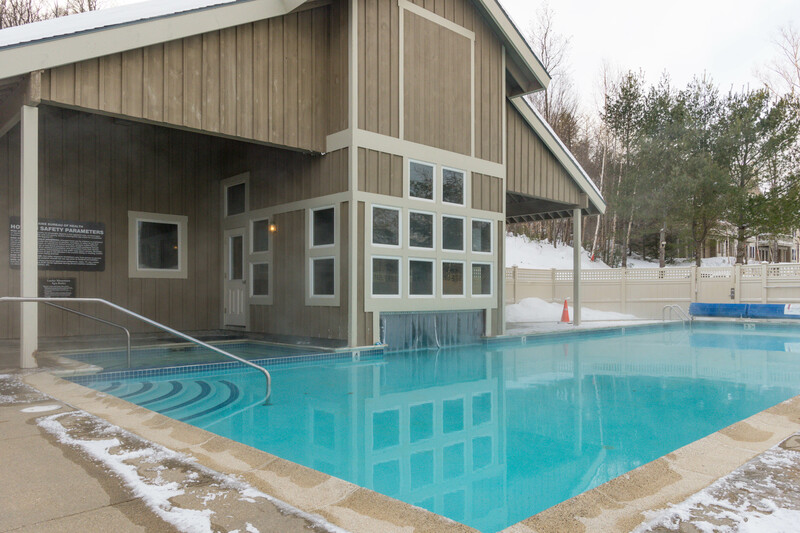 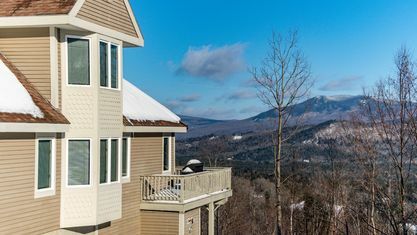 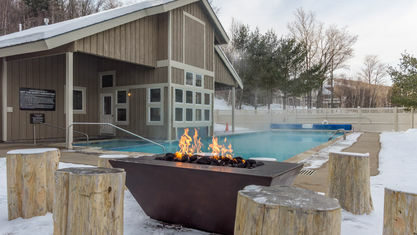 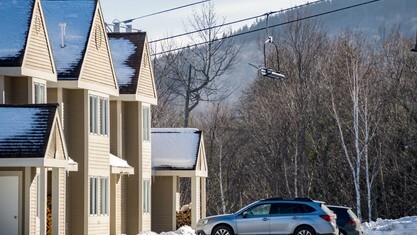 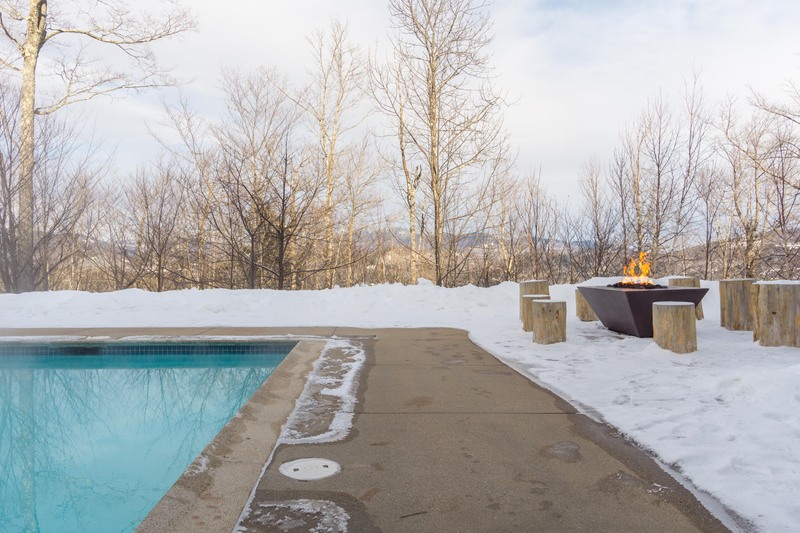 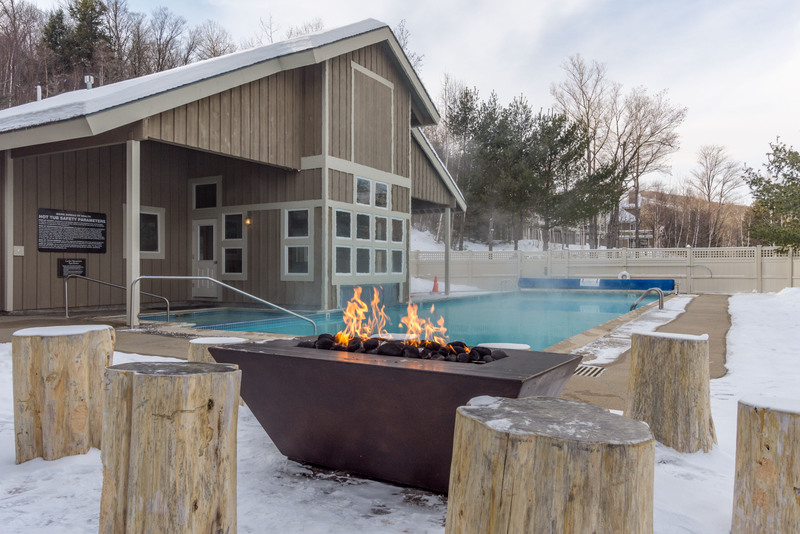 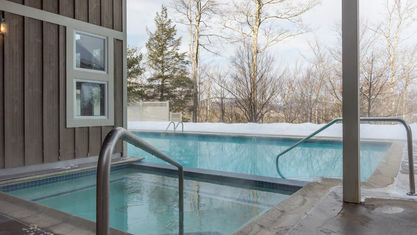 The shared year round amenities at Locke Mountain include an outdoor solar heated saline pool, a hot tub, saunas, locker rooms and a recreation room. 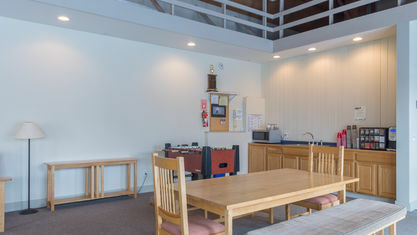 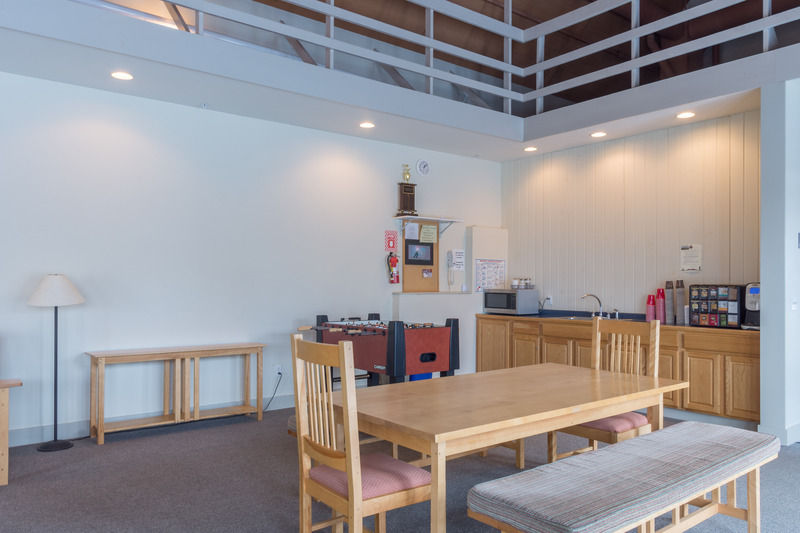 Cable TV and high speed internet access are provided in each unit. 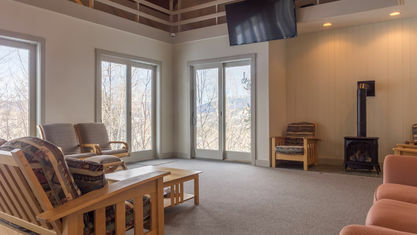 Locke Mountain ownership provides not only a place to ski, but the opportunity to be part of a community with the association hosting events and activities for its members. 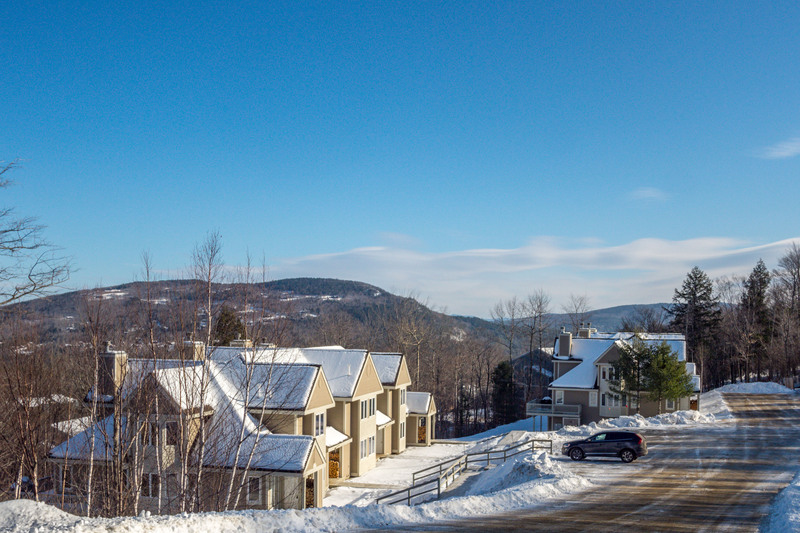 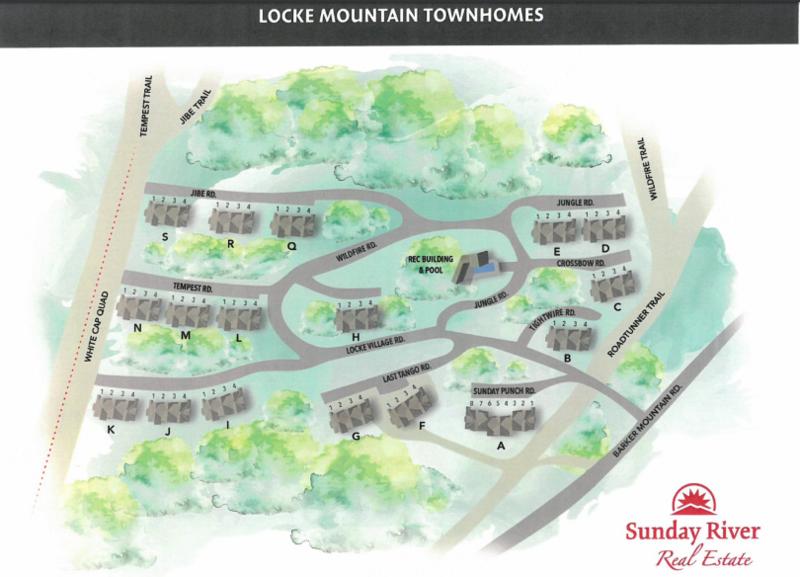 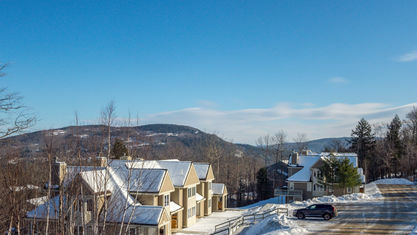 Property listings for Locke Mountain Townhomes. 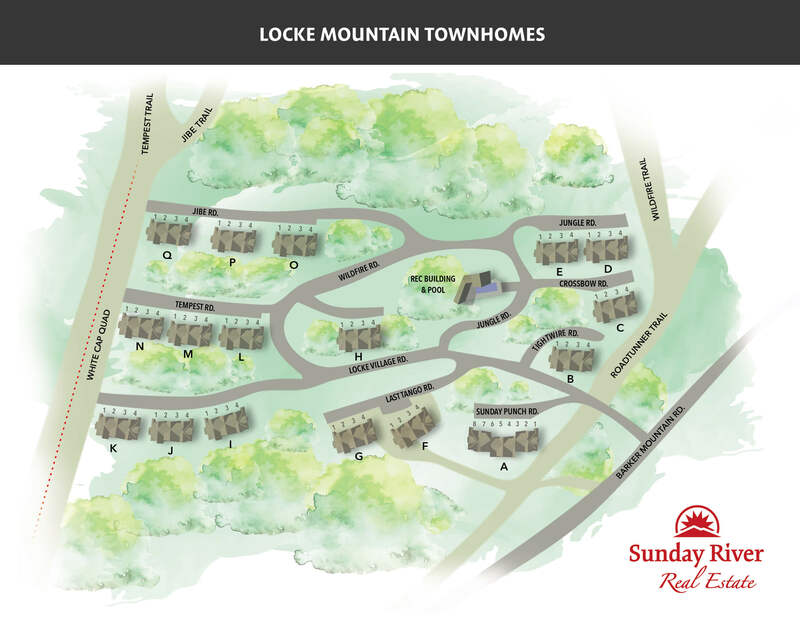 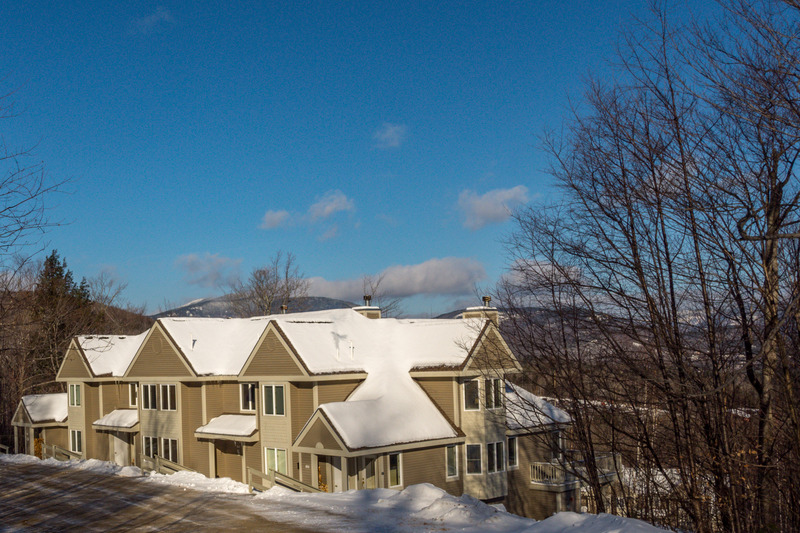 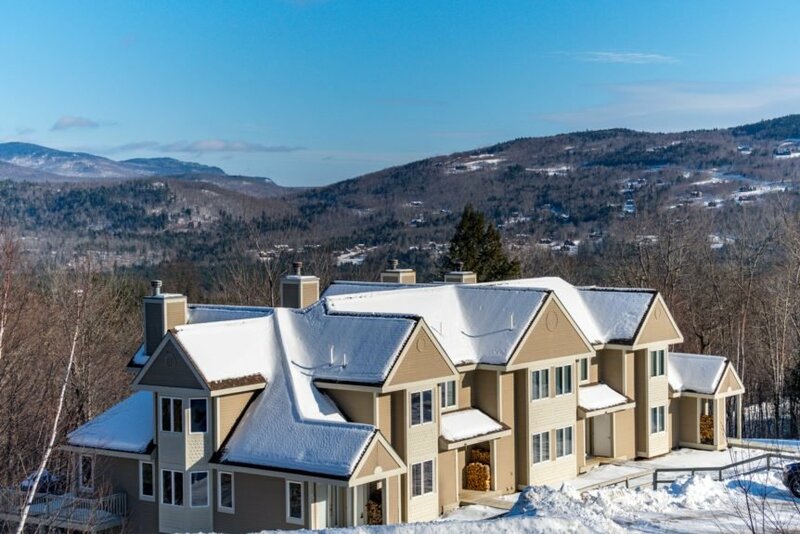 View our gallery below for Locke Mountain Townhomes.